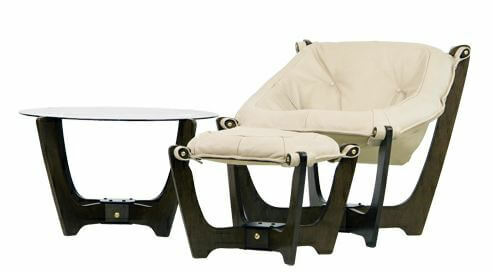 The Luna chair seems to be available via various retailers within the U.S. In my cursory research, Dania/Plummers/Scandinavian Designs appeared to have very competitive prices. I talked to a super helpful manager at Scandinavian Designs in Berkeley, Calif. She confirmed the prices I listed above. She said that these chairs are now made in Thailand, which is what has kept prices low. The leather is from Europe. She said they do not do online sales. However, if you call Berkeley, she said she could give you the shipping dimensions and if you take responsibility for the shipping, you could buy one that way. The chairs do require assembly, and she said it’s a pain. If you are buying for pickup at the store, they do the assembly for you in advance. 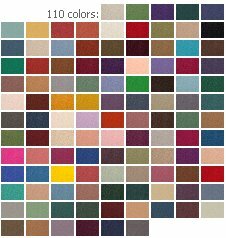 Finally — they no longer do custom orders — there are a handful of colors of leather regularly available, and two wood colors. 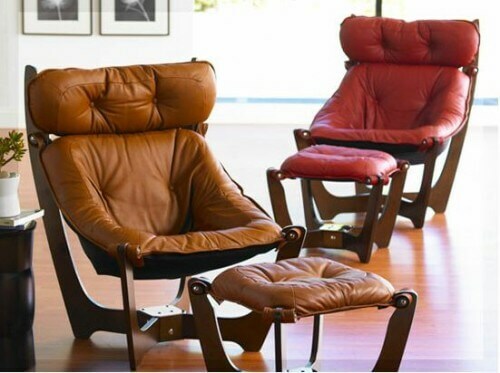 I love the groove-tastic look of these chairs, but I also want to point out: They are not ginormous on-steroids — like so many American easy chairs today. They are just 29″ x 29″ x 29″ (I rounded), with a 22″ space for your tush to nestle into. This is a very small footprint — great for our smaller houses, perhaps? There also is an ottoman. What terrific chairs! They deserve to be big sellers in today’s retro-crazed market! These are so pretty, I am using lots and lots of exclamation points! Luna chairs, ottomen and table at IMG Comfort (manufacturer and distributor — not a retailer). Update, looks like these places no longer sell this design: Luna low- and high-back chairs at Dania. This company also owns Plummer stores and Scandinavian Designs — with the same product line, but different and more locations. 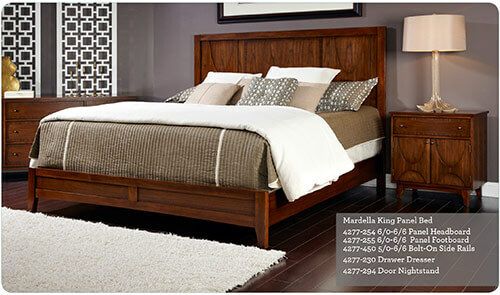 This is just one retailer in the U.S. – but they had juicy prices; use the Google and demand a great price! I also spotted them here. 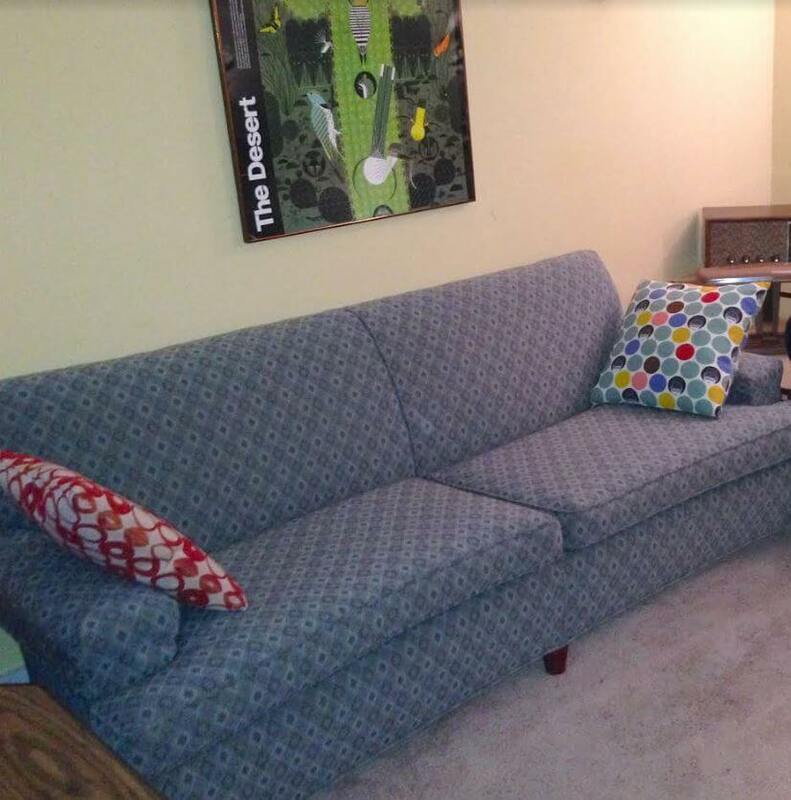 I sold my sofa on craigslist — my first time ever craigslist sale! I stand corrected! I called again to double check my color selection and boy am I glad I did! The lady on the phone had only charged me for the leather portions on each item. Whoops! So, yes. The price is now $498 and $199, as advertised. Too bad for me, but still a great deal! I was super jealous & in awe of your awesomely major score! I’m better now 🙂 Particularly, after i just found chair number two w/ottoman at the originally suggested price point. What you’ve learned, however, is still beneficial, as it suggests there is the ability to order items ala carte. 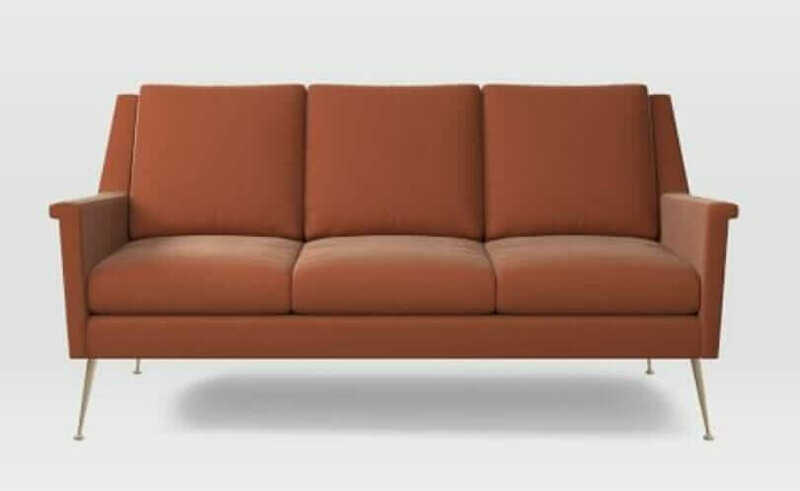 Want a new leather color, new base? Purchase what you need & nothing more. Cool beans! We lived in the US for a couple of years and bought a pair of these chairs and footrest from House of Denmark in GA. We have had them 7 years, they get lots of use and are like new. Fantastic chairs. We are currently buying a 1960’s bungalow to renovate in MCM style. These are practically the only pieces of furniture that work! I never heard of these chairs until I came upon 2 at Home Consignment Center in Corta Madera, CA. 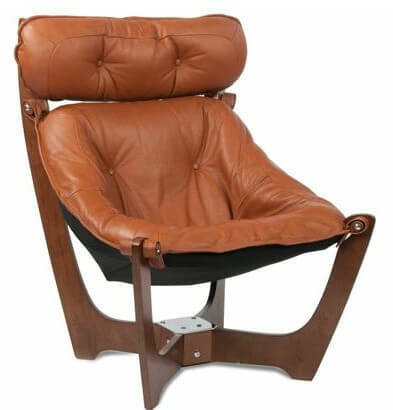 The gently used chairs are selling for $399.00 with an ottoman in black leather. The chairs are marked made in Norway, by Hjellegjerde. I’m trying one out for 24 hours. Its a low back. I think its a little pricey for a used chair, however after doing the research, maybe not. Its starting to grow on me. Scan designs no longer carries this chair, but Vicking Trader in Berkeley does. Can anyone e-mail me the instructions of how to put these chairs together? 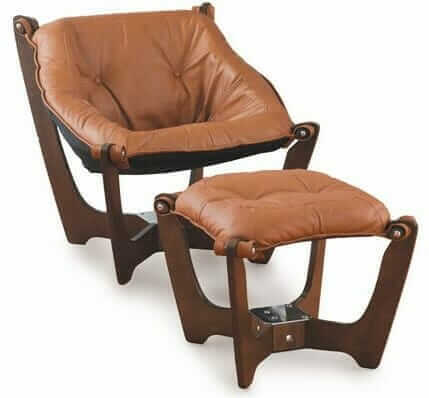 Also, does anyone know if the Trend leather cover is a good leather for these chairs? I would appreciate any information you can provide me.